Bagels. Where would we be without them? Thankfully, many have spent years putting entirely new spins on the food, such as the onion bagels, French toast bagels, and even rainbow bagels. Now, it looks as though there could be a new contender in town: the bagel-churro. Believe it or not, but the tiny bagels are actually made from churros. 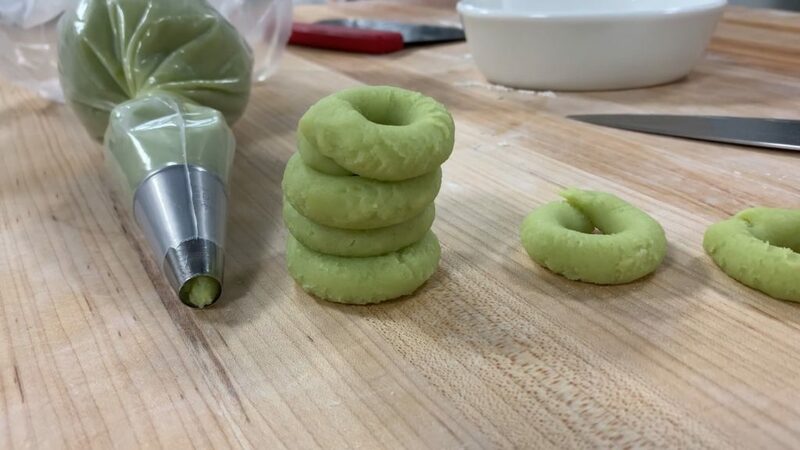 The impressive green color in the raw dough comes from the scallions used in the recipe, and everything is mixed together before getting piped out into bagel rings. Finally, the bagel-churros are deep-fried until crisp and ready for the next stage of their epic creation. Getting fried is only the beginning for these bagel-churros as they are now ready for the finishing touches that bring the dish to life. 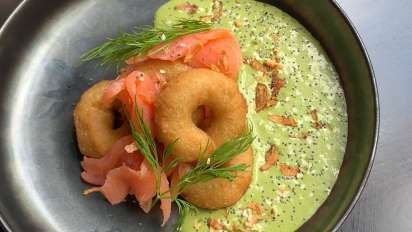 The bagels are layered with nova lox – a fillet of brined salmon – before the impressive tower is topped with fresh dill, dill cream, and a special in-house seasoning to add yet another layer of flavor. We might have to travel far and wide to find this incredible hybrid – unless you’re lucky enough to live in Miami, Florida. 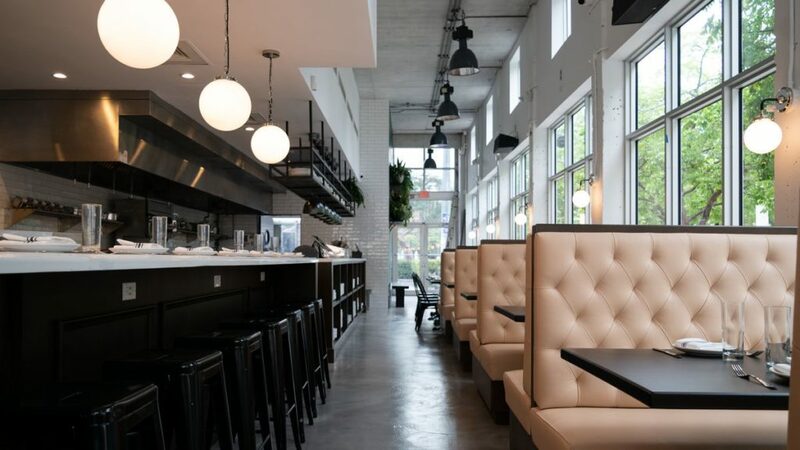 The Bagel Bites are served up as part of the brunch menu at Mason Eatery. Although it looks as though the bagel-churros should be part of a New York deli menu, it seems as though Florida is ready to take the culinary market by storm with their very own creations instead. The Bagel Bites aren’t the only impressive food on this menu. Mason Eatery offers up many new takes on famous flavors, such as their Pastrami On Rye. Pastrami sandwiches have been a favorite on the streets of New York for many years, and now it looks as though we can enjoy the same great tastes in pasta instead. The eatery created rye pasta that is smothered with a pastrami carbonara sauce before getting topped in parmesan cheese. How do we bok ourselves a table? Just when you thought bagels and churros couldn’t get any better, it looks as though the Mason Eatery is there to prove us wrong. It might not be long before these Bagel Bites are flying out of the kitchen.